A new school year can be tough, especially when the education is not meeting the student’s needs. At Rivendell School we welcome mid-year transitions because our educational curriculum is customized to fit the needs of each individual child. Rivendell offers an individualized academic education program that seamlessly transitions a student, even after the start of the year. Upon enrollment, our expert teachers will assess the new student to understand where he or she is academically. Based on the results, our teachers determine the best place for the student within Rivendell School's individualized curriculum model. Students at Rivendell learn and thrive within an academically focused and socially inviting environment, which ensures that the individual needs of every learner are addressed daily. Each student has an opportunity to learn at his or her most appropriately challenging level and pace. Contact us and attend one of our Open Houses, or arrange a meeting to talk with our Admissions Specialist and tour our school. Families also have the option to schedule a "Shadow Day" in which we set up a time for your child to spend part of the day in a Rivendell classroom. 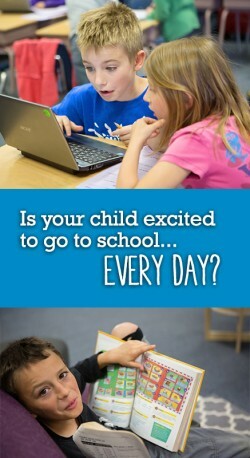 Elementary years should be a fun, invigorating time for students to love learning! Discover how Rivendell School can offer your child an individualized academic education by calling 970.493.9052, emailing us at admissions@rivendell-school.org, or exploring our web site.